(2) pieces Heat Register. 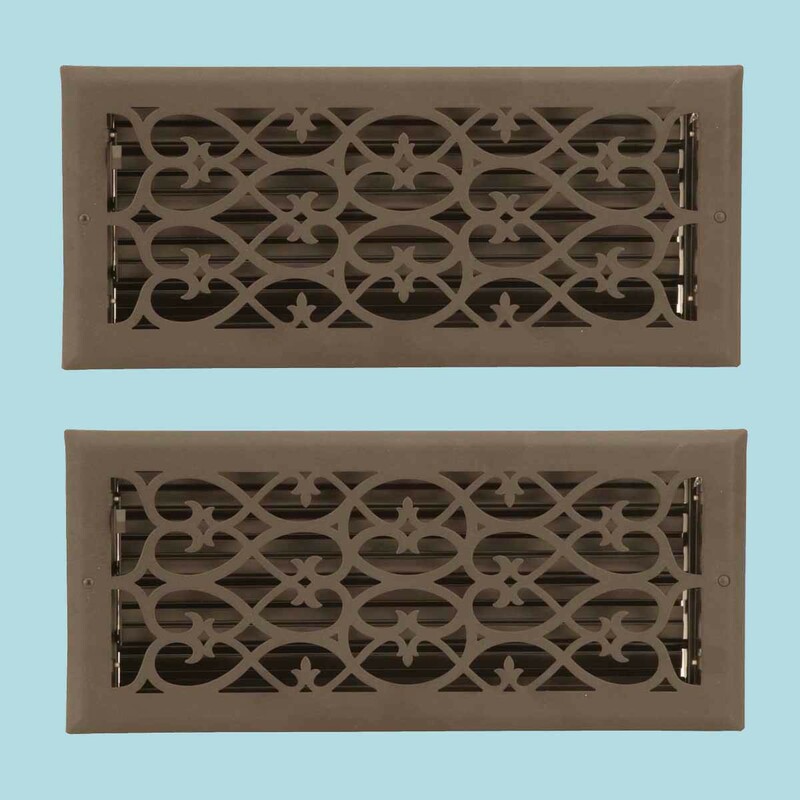 Control and SAVE on energy bills with registers that let you control every room’s airflow with their infinitely adjustable louver assembly (damper box). Crafted of solid steel these registers are stamped from 9 guage steel. Mounts to floors or ceilings, damper box cannot be locked in place. The protective RSF baked-on powder coating provides a luxurious matte finish, their traditional scroll design & heavy steel are of superior quality workmanship. Mounting hardware included. Overall 7 3/8 x 15 3/4.